The following grew from a pet project of taking occasional notes on and finding as much music as possible made by one of my favorite musicians, Don Murray. 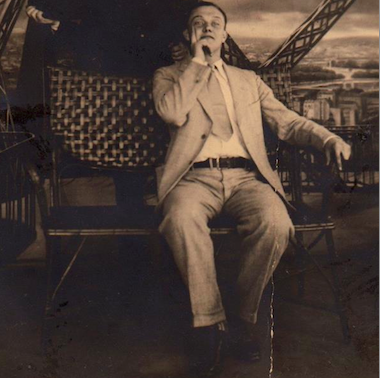 I had collected a lot of information from incredible resources such as Tom Lord’s online Jazz Discography, Johnson and Shirley’s American Dance Bands On Records And Film and Albert Haim’s Bixography web forum. Yet my ears can only take me so far, so I am sharing this discography to benefit from more experienced and/or sensitive ears than mine. It can be accessed online here. I also want to emphasize that this is a personal project and therefore only reflects my own subjective i.e. imperfect tastes and reactions to these recordings. It has also been assembled over the years between instances of real life, so it’s admittedly not the most elegant or conventionally designed discography. Above all, I apologize in advance for any inaccuracies, misattributions or other purely unintentional mistakes and I look forward to correcting them. So, if you know more about these recordings or (fingers crossed) know of other Don Murray recordings, “have at it.” Thanks! The sound of this Murray tenor, so rich, so plummy, so far removed from the piping, reedy solos in the instrument’s upper-medium to high registers with Lewis was the real surprise. The first (through about fifth or sixth) time I heard it, it left me scratching my head. Lloyd Scott and His Orchestra, "Harlem Shuffle"
and the difference becomes clear to the point of world-altering. Links with Murray’s frequent collaborator Frank Trumbauer are tempting. Yet the C melody saxist’s light timbre dovetails with a light, relaxed approach to improvisation. “Tram” often seems to ease into his lines, even at breakneck tempos. Murray’s approach was rarely easygoing. Even on “Blue River,” his wafer tone spirals into a rapid-fire kineticism. If Trumabuer looks ahead to the cooler sounds of Lester Young And Miles Davis, Murray is firmly, and in hindsight refreshingly, part of The Jazz Age’s nervous energy. 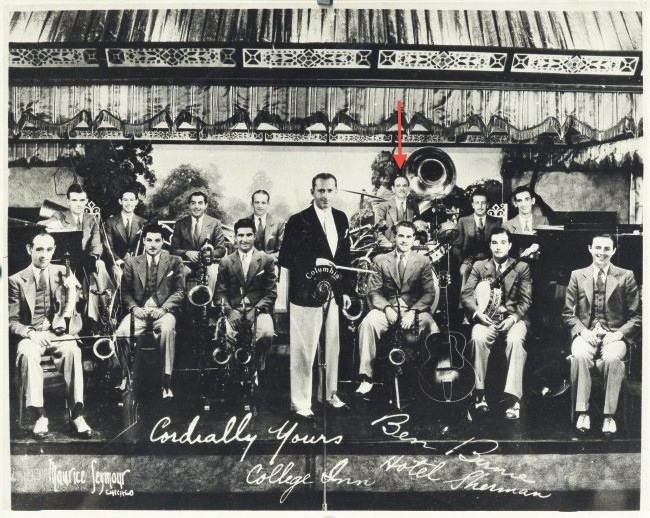 Decades of hearing Trumbauer’s own recording of “Blue River,” with Murray in the background and Bix Beiderbecke forever in the foreground, have made it all too familiar to generations of jazz listeners. Murray’s variation resembles cutting lines from Rosencrantz and Guildenstern Are Dead into acts of Hamlet. Goldkette’s arrangement may or may not be as hip as Trumbauer’s but for twenty-four bars Murray makes the tune an event. As for my own naive guesses at Murray’s choice of instrument, I now know better but continue to learn more about this often overlooked player. That’s a jazz musician for you. Joe Venuti led several numbers in the studio but Richard Sudhalter singled out the violinist’s Blue Four sessions of the late twenties as “masterpieces, high points of New York chamber jazz ….a testament of excellence hard even to challenge, let alone surpass.” For me they stand out as ideal opportunities to hear Don Murray. 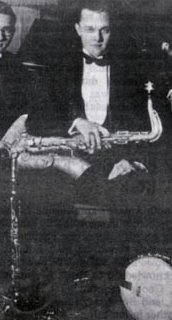 Jimmy Dorsey, Frank Trumbauer and Adrian Rollini joined Venuti, his right-hand man Eddie Lang on guitar and a revolving roster of pianists during this period (Justin Ring or Paul Grasselli also played percussion but their presence was slight enough for even the record label to classify this group as a quartet). Murray easily has the smallest recorded legacy of the Blue Four’s guest reeds, a consequence of his also having the shortest life. Murray’s first solo on “Four String Joe,” starts off uneasily, with a descending line that gains confidence and races towards a hot break and roaring finale. His clarinet is unusually and refreshingly spare, adding an attractive popping effect when it locks in with the rhythm section’s backbeat. Murray comes back on baritone for some moaning dialog with Venuti before switching back to clarinet and a unison tag with him, closing the performance with yet another unique sound. The Blue Four’s variety of texture, form and mood belies any sense of there being “just” four players. They rarely rely upon the soloist plus rhythm, take-your-turn-improvising format. Instead, violin lead with guitar comping, guitar lead with violin harmony, guitar bass lines supporting soloist or ensemble, a capella piano, various combinations of call and response and other instrumental changeups make the quartet sound larger in terms of size as well as possibility. Apparently Okeh agreed: Venuti kept making Blue Four sides, even as jazz and dance bands had already started to grow much larger. Geoffrey Wheeler describes Murray’s baritone sax sound as a “medium-full, vibratoless sound that would have fit in well with the bop groups and big bands of the 1940s.” “Dinah” is a short but very revealing exploration of that sound. Murray’s tender introduction and verse, first solo then pared with Venuti’s double-stops, and his ability to accompany a small group of soft instruments without overwhelming them displays his versatility as well as his expressiveness. Murray could play hot but could also play, period. Given that Murray was playing the first recording of this tune, his repeated note solo might have been a paraphrase of a melody co-written by Lang and Venuti. It’s easy to imagine Lang plucking something similar on his guitar. Yet the unissued take features a different solo using similar ideas, and a later record with Pete Pumiglio taking Murray’s place has an entirely different chorus. Murray may have been crafting just the right solo, as so many jazz musicians of the time also did to great effect. Either way, it’s a lyrical, well-conceived moment amidst Venuti’s virtuoso displays. Murray’s darting phrases behind and between Venuti/Lang’s lead throughout the recording indicate how closely he may have been listening to bass saxophonist Adrian Rollini. Murray toys with the boundary between obbligato and bass lines in the same way that Rollini did when both played on the legendary Bix Beiderbecke and His Gang sessions. Murray makes the Blue Four sound fuller while adding momentum to it, splitting the difference between front line and rhythm section. The alternation between staccato and slurred phrases in the first chorus also shows Murray’s slick sense of detail. Don Murray. Photo courtesy of Storyville magazine. His tone on the head’s ensemble counterpoint is light, nearly to the point of transparency, very different from the dark, cavernous sound of his baritone and bass sax-playing contemporaries. It lets Venuti’s passagework and Lang’s plucking peek through, allowing exactly the type of a “finely wrought musical miniatures, harmonically and texturally rich…yet [leaving] plenty of latitude for improvisation” praised by Sudhalter. New York had its share of excellent reed players, some at least as busy as Murray, but Venuti and Murray had known one another since their time in Jean Goldkette’s orchestra, if not earlier. Venuti was probably not one to mince words and no doubt knew what he wanted. Murray in turn must have found the time to join him. Less than a month after his last session with the Blue Four, Murray had started as a regular player with Ted Lewis, a job that would keep him incredibly busy and take him on the road to California, where he suffered the fatal accident that would kill him less than a year later. 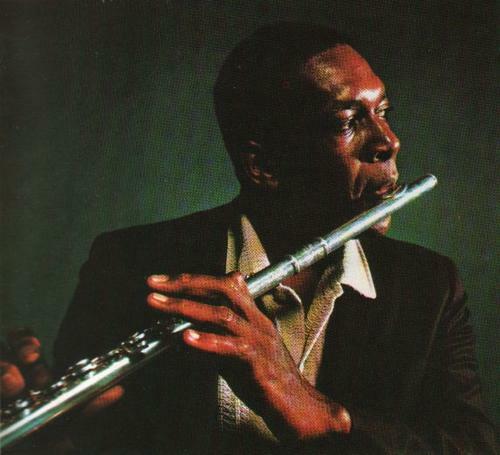 It’s hard to hear Murray in the many reed sections he recorded with during his short but teasingly fruitful career and it never seems like he got enough solos. These Blue Four sessions, just six sides and one alternate take, are a small but incredibly revealing part of the Murray discography. 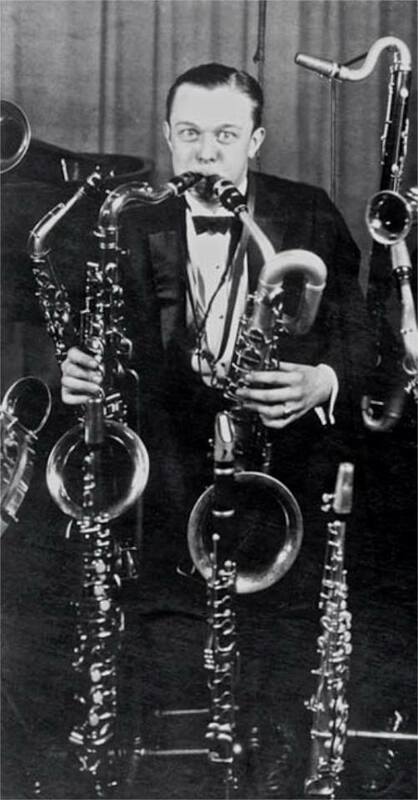 Virtually all of Dillon Ober’s legacy as a jazz musician was recorded with just two bandleaders over a four and a half year period and without a single solo. It’s a modest discography, perhaps appropriate for such an unflashy drummer, but it illustrates an energetic, at times arresting spirit behind the kit. How Ober began playing is unclear but he obviously started young. 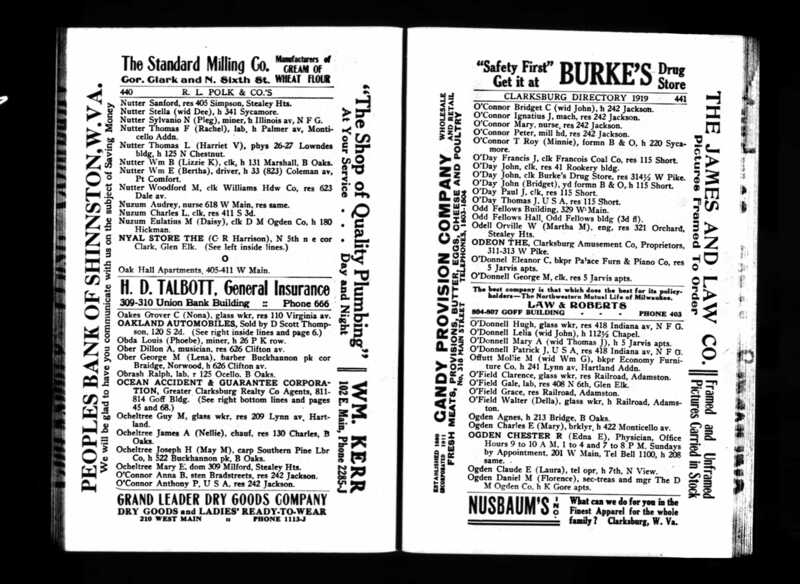 Born April 8, 1904 in West Virginia, by 1919 young Dillon was already listed as a “musician” in the Clarksburg town directory. 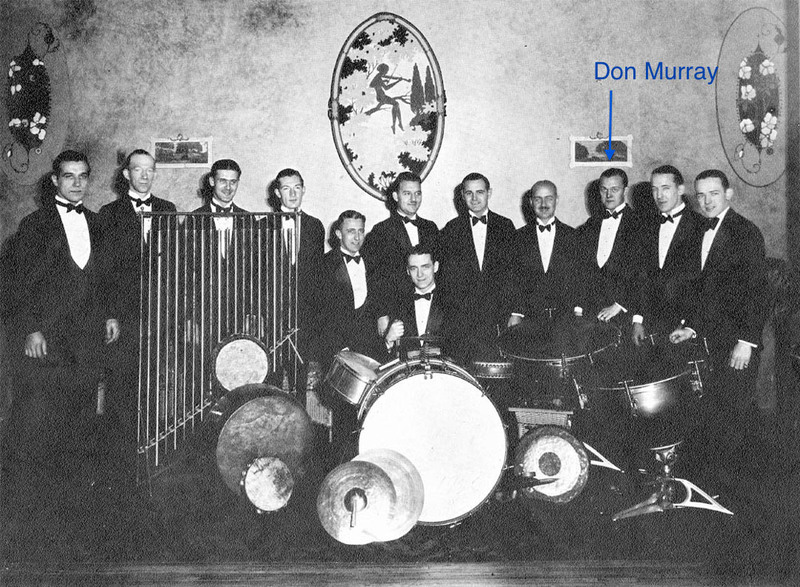 He cut his first record in 1922 playing marimba with the Mason-Dixon Seven Orchestra. The band included future dance band star Ted Weems and his brother Art and was popular at West Virginia University. It also traveled as far as University of Michigan and the town of Beaver, Pennsylvania as well as New York City to cut one unissued take of “I’m Just Wild About Harry” for Columbia with the young marimba player. The Seven might have also worked in Philadelphia, or perhaps Ober was in town solely for his wedding to Alice “Nellie” Broadwater in 1922. The young couple lived with Ober’s (apparently very patient) parents through 1925 while he continued to work as a musician. Jack Pettis And His Pets, "Hot Heels"
Jack Pettis And His Pets, "Dry Martini"
Jack Pettis And His Pets, "Doin' The New Low Down"
Ober would play drums on all of Pettis’s sessions as a leader. Pettis started out with no less than the New Orleans Rhythm Kings before becoming Ben Bernie’s star soloist. 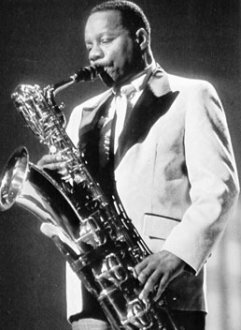 His light, swinging “Chicago style” sax enlivens every recording it’s on, he penned hot instrumentals such as “St. Louis Shuffle” and “Up And At ‘Em” and his Band, Orchestra, Pets and Lumberjacks produced some of the hottest jazz of the pre-swing era. Ober must have been doing something right if Pettis liked his drumming. On September 18, 1929, Ober, Ben Bernie and several members of the Bernie band arrived in England to play at London’s fashionable Kit Cat Club. Mark Berresford indicates that unfortunately the band was poorly received by the press. Ober and his colleagues returned to the States a month later. That same year, Bernie lost his longtime spot at the swanky Hotel Roosevelt and lost much of his savings in the stock market crash. 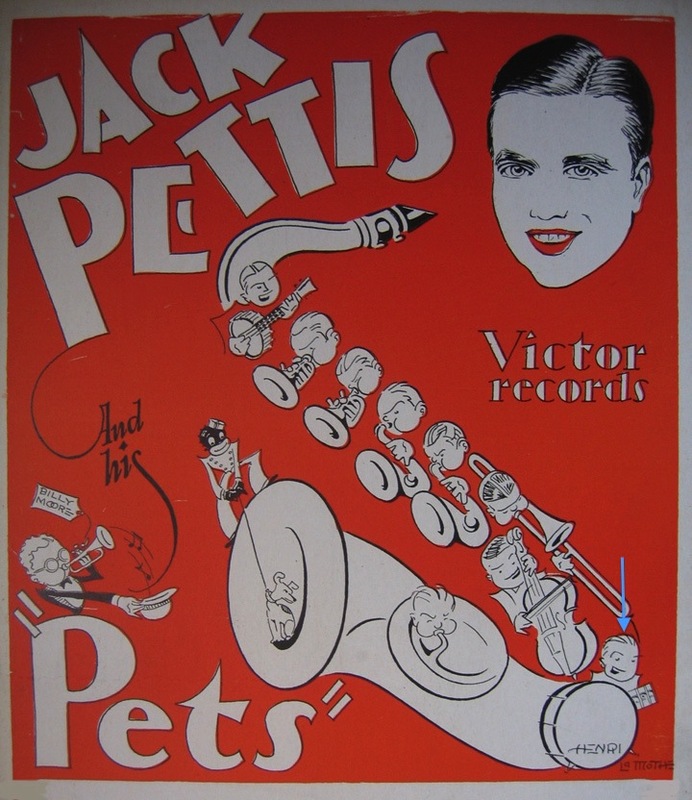 He handed leadership of the band over to Jack Pettis in April 1930, moving onto less jazz-oriented groups for radio while Pettis led the band through the end of the year. Ober made his last credited record, for Bernie and forever, in 1931 (Wikipedia claims that Ober also worked with Ace Brigode but neither Tom Lord’s Jazz Discography nor Brian Rust’s The American Dance Band Discography list Ober playing with Brigode). Working with Bernie must have earned Ober something of a reputation so it’s likely he continued to work outside of record sessions. 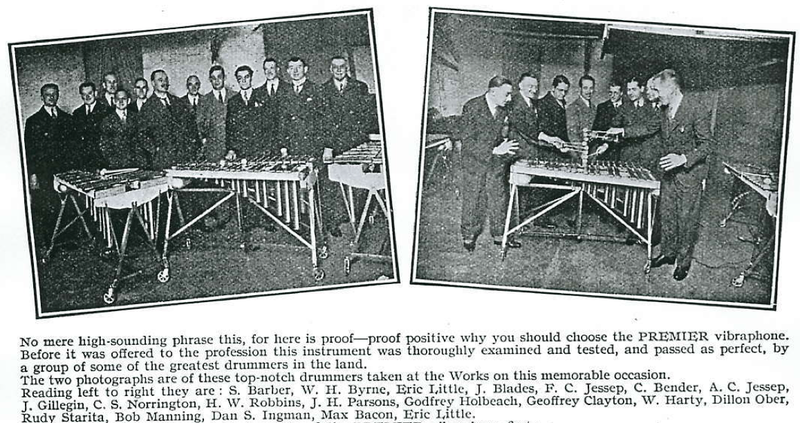 He lists his occupation as “hotel musician” on the 1930 census, and The Premier Drum Company thought enough of Ober to include a photo of him eyeing one of their products alongside several other noted musicians in its 1930 catalog. 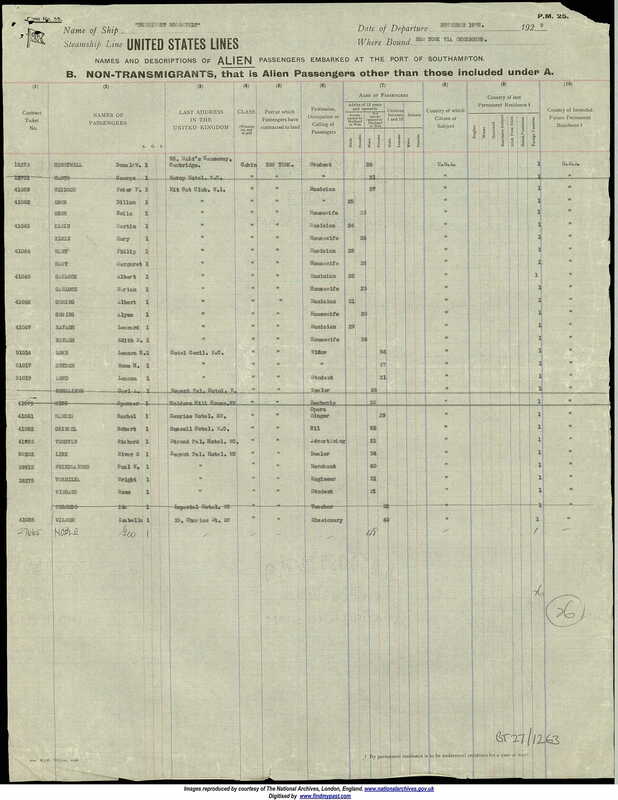 The 1930 census shows Dillon and Nellie Ober living in Queens, but by 1934 he begins to appear in credits for movies made in California, starting with the comedy short “Old Maid’s Mistake,” followed by “Every Night At Eight” in 1935 and “The Country Doctor” and “The Crimes Of Dr. Forbes” in 1936. Ober wasn’t a complete stranger to acting, having already appeared in the 1928 Broadway musical Here’s Howe (with music by bandleader Roger Wolfe Kahn and introducing the standard “Crazy Rhythm”). He didn’t seem to need much theatrical range for film, given roles such as “comedy singer, piano player” and “trick drummer.” More importantly, Ober had an entryway into the West Coast studios. By 1937, the Pittsburgh Post Gazette reported Ober was “…on Walt Disney’s payroll out in Hollywood, tapping out sounds in animated talkies.” Ober’s un-credited work from this period might not have been glamorous but it was steady and he seemed to enjoy it. Dillon Ober was a very nice man, looking as I recall a lot like Robert Benchley. We used to go to visit at his place in the Valley not far from our home, as Dad [big band sideman “Red” Ingle] and he had become good friends in the thirties through their mutual friend Orm [Ormand] Downes, another of the unsung but superb drummers who had shared the stand with Dad for much of the thirties in the Ted Weems band. Dillon and Orm and Dad often gathered to socialize when not working, and Dillon’s home was often the site of poker parties, barbeques and a pleasant place to visit. I learned by listening to [Ober’s] descriptions of working with the great musical directors of Hollywood and how they scored the films, a very technical and critically timed process. They would also tell war stories from the big band days and talk about the players they’d come up with in the business. Ober may have also played for the military after he enlisted in the Army Air Corp in 1942, as it’s unlikely the thirty-eight year old would have been placed into combat at the height of World War Two. He passed away just five years later, barely middle-aged and outlived by his father. It’s clear that Ober didn’t record much and perhaps easy to suggest he didn’t “do” much behind the drum set, but he played exactly what was needed for his fellow musicians. Record after record reveals a no-frills, reliable, rhythmic drummer with his own subtle but instantly galvanizing personality. As for how much he recorded, in this case something is far better than nothing. Ober’s modest style and modest discography make for some very distinguished music. For the completest Dillon Ober, check out Retrieval’s excellent Ben Bernie album and try to hunt down the now discontinued Jack Pettis double CD set from the King’s Crossing label. For a whole other look at Ober and a good laugh, please check out Michael Steinman’s notes here. Regular readers of Aesthetic, Not Anesthetic know that Buster Bailey and Don Murray are two of its favorite subjects. Both were simply amazing clarinetists, gifted with a bright tone and a beautifully busy style, equally effective in solos, breaks and high-flying lines behind ensembles. Benny Goodman admired the two of them and even shared a teacher with Buster Bailey. Unfortunately Bailey and Murray remain amazingly underrated footnotes in jazz history. Apparently this blog keeps some sharp company in terms of taste! More importantly, Carney reminds all of us to stay positive and to not be bashful with sincere compliments. One never knows who, or when, someone is listening.